One-third of first-time homebuyers get help from their parents. About a third of all first-time homebuyers get help from their parents or other relatives in coming up with a down payment. About a third of first-time home buyers received a gift of money from their parents, and another 9% received a family loan, according to a recent survey by the National Association of Realtors. If you’re thinking of using money from relatives to buy a new house – or giving or lending money to relatives – there are a few things you should be aware of. One is that, while lenders are usually okay with a gift being used as part of a down payment, most still want the buyers to use some of their own money as well. Many banks require that 5% or 10% of the purchase price come from resources other than a gift, just to make sure the buyers have a handle on managing their own finances. 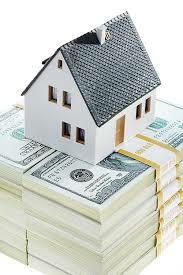 (This rule might not apply, though, if a loan is backed by the Federal Housing Administration. )Some banks don’t allow gifts to be used for a down payment at all on second homes, vacation homes, or investment properties. And some allow gifts only if they’re from close relatives such as parents, and not from distant relatives. In addition, a bank might require the gift-giver to document the amount of the gift and the fact that he or she doesn’t expect repayment. Family loans can be more complicated, because a loan can increase the buyer’s debt-to-income ratio, and possibly prevent him or her from getting a mortgage in the first place. Also, some banks don’t allow unsecured loans to be used for down payments on certain types of mortgages, such as jumbo mortgages. Relatives who make gifts also need to be aware of the gift tax rules. In general, you can give any person up to $14,000 a year without being subject to gift tax (other than a spouse, to whom you can give an unlimited amount). If you give someone more than $14,000 in a calendar year, you might not owe any tax, but you will have to file a gift tax return, which can be complicated. However, the rule applies per-person. So a married couple could each give a child $14,000 in a calendar year, for a total gift of $28,000. And they could each give the same amount to a child’s spouse, for a total gift of $56,000. Closing with a Possession Agreement. Can a Co-op or Condo Board restrict medical marijuana?